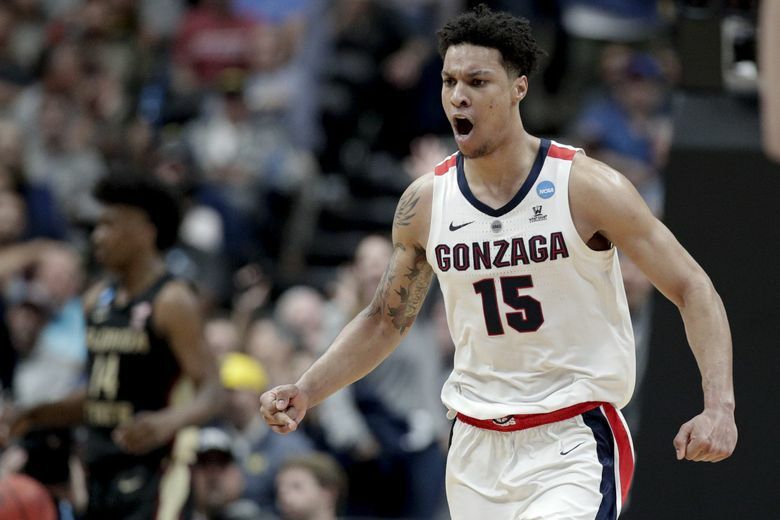 Gonzaga forward Brandon Clarke has declared for the NBA draft. Clarke made it official Wednesday via a GU release, two days after teammate Rui Hachimura declared for the draft. The two formed one the top frontcourts in the country and one of the best in Zags’ history. The bouncy, 6-foot-8 Clarke transferred to Gonzaga after posting strong numbers in two seasons at San Jose State. The Phoenix native sat out one season under transfer rules but spent the time working on his body and improving his game. Clarke had a breakout junior season, averaging 16.9 points and a team-leading 8.6 rebounds. He swatted 117 shots, shattering the program’s single-season record. He led the nation in field-goal percentage at 68.7, edging out Duke’s Zion Williamson’s 68.0. Clarke hasn’t determined his final status, according to the release. He is eligible to sign with an agent and go through the draft process, but must terminate ties with the agent by May 29 if he plans on returning for his senior year. Hachimura is expected to sign with an agent and there seems to be no question he’ll remain in the draft. Clarke posted 36 points and five blocks in an win over Baylor in the second round of the NCAA tournament, joining Shaquille O’Neal (LSU) and David Robinson (Navy) as the only players with at least 35 points and five blocks in a tournament game. Clarke’s 36 points broke Adam Morrison’s school record for an NCAA tournament game. Clarke is projected as a first-round pick in numerous mock drafts, generally in the 10-25 range.